Have you heard of the saying, ‘There is no such thing as bad publicity’? If you’re a communications professional at BP or you work for Bill Cosby you may feel differently, but the quote, often attributed to the American self-publicist PT Barnum, still rings true in terms of brand awareness and familiarity. One man who doesn’t lack for publicity is the Saudi Prince Al Waleed Bin Talal Al Saud. Al Waleed, who has long had an interest in the media (he owns stakes in News Corp, Fox and Saudi Research and Publishing Group), set out his own media vision for the region a couple of years back when he announced his intention to set up his own news channel. Named Al-Arab, the channel would compete with the likes of Al-Jazeera and MBC Al-Arabiya to shape the news agenda. After years of planning, the channel went live this week. Al-Arab is based in Bahrain, ostensibly to allow the channel to benefit from Bahrain’s relative media freedoms and, as the channel’s general manager and Saudi journalist Jamal Khashoggi put it, to cover “all views” in the region. On its first day of operations the channel was temporarily suspended by Bahrain’s information ministry. 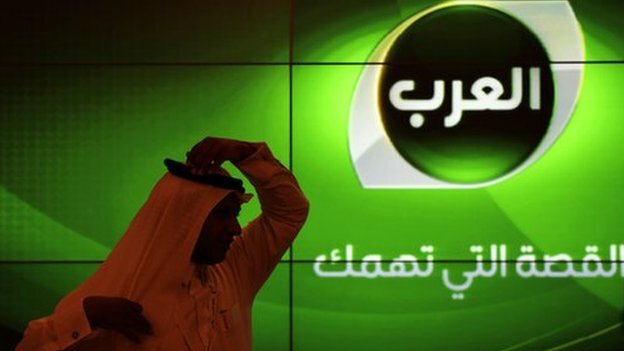 Akhbar al-Khaleej, a pro-government paper, reported that the suspension was due to the channel “not adhering to the norms prevalent in Gulf countries”. The allegation is that Bahrain’s government took offense to an interview aired with Bahraini opposition activist and politician Khalil al-Marzooq, who was talking about Manama’s decision at the weekend to revoke the citizenship of 72 Bahrainis. The closure has made headlines worldwide, and has guaranteed headlines for Al-Arab in capitals such as Washington, London, Paris and Berlin. While the closure may have been an operational nightmare, for a publicist it has been a coup. As Oscar Wilde put it, the only thing worse than being talked about is not being talked about. By this measure Al Waleed should be delighted with the launch of his television channel. By setting down this marker from day one, will Al-Arab be able to set itself apart from other channels in the region which do have particular media biases. Will Al-Arab create a middle ground that wins over Arab audiences? According to Al-Arab’s Twitter feed the station will be operational again soon. I for one can’t wait to watch its re-launch. توقف البث لأسباب فنية وإدارية وسنعود قريبا ان شاء الله . And if you want to see the alleged reason for why Al-Arab was shut down watch the clip below.